This is for a Artistic Iron Dancing Sunflower 7 foot Garden Windmill from Shopatusm. Wind has never looked so pretty! 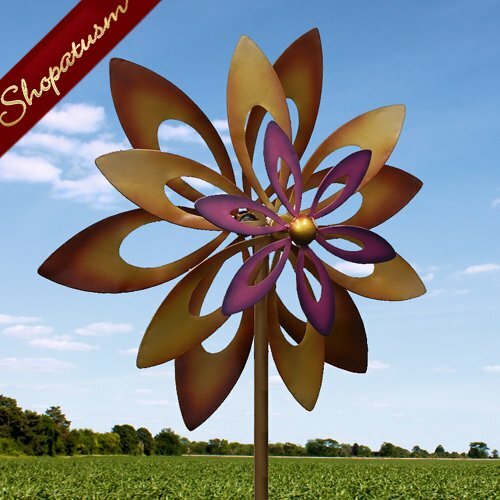 This artistic iron sunflower windmill stands 7 feet tall and will twirl and spin in the breeze, making your garden even more beautiful. Item weight: 11 lbs. 16 inch x 10 inch x 84 inch high. Iron. Some Assembly Required.